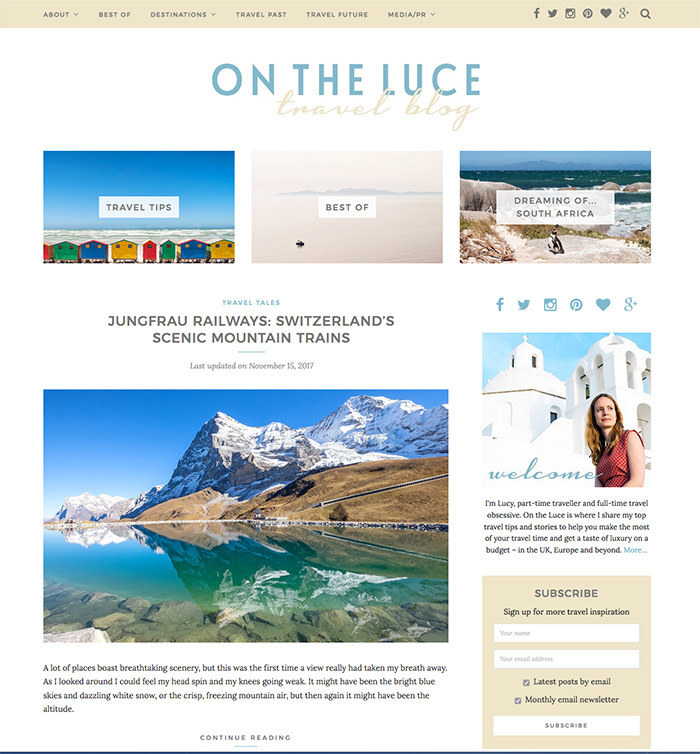 Passionate about travel, I set up the blog On the Luce in 2011, to provides inspiration and advice to help independent travellers make the most of their travel time and get a taste of luxury on a budget. I designed the site and produce all the written content and photography myself. The site now attracts over 40,000 visitors a month and has developed partnerships with tourist boards and travel companies including Destination Canada, KLM, Visit Germany, Waitrose, Celebrity Cruises, MoneySupermarket and Eurostar.